perfect boyfriend. The only trouble with perfection, however, is that it never lasts. When secrets start to surface, Eliana is forced to make a choice. Is it the right one? middle of her sophomore year to the small Oregon town where her parents grew up is something she never expected. Knowing she will only be there for a year, she is torn between making new friends or keeping to herself. Will she listen to her heart or keep flying solo? **UPDATE** 1.29.17 There are several things happening this year. I can't wait to be able to share it with you. 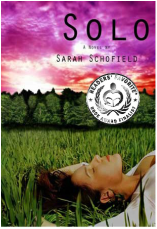 9.20.15 SOLO is the Reader's Favorite Book Contest Finalist for Young Adult-Romance. 9.16.14 audiobook for SOLO is now available!!! 4.16.14 I'm thrilled to share that the audiobook for SOLO﻿ is in production and will be narrated by the talented Melanie Avalon﻿!! 3.22.14 DUO is available at Amazon.com for your Kindle. You will be able to get it for the Nook soon. 3.21.14 THE RELEASE OF DUO IS JUST DAYS AWAY!!! I've made a few changes to the website. In the next few weeks I will have an update on the release date for Duo. For those of you that are interested, visit my Contact Me page to sign up for my mailing list. 8.29.12 ~ NEW * A MESSAGE TO MY READERS!!!!! This is a message that I did not want to have to post, but as the month nears to an end, I had to update all of you. I hate making promises that I can't keep and the last thing I want to do is disappoint any of my readers. I receive numerous emails and comments daily inquiring about the status of DUO. I'd love to reply to each and every one of you, but I've been working to edit a book you would all enjoy just as much as SOLO. Here's where things stand. Due to some last minute rewrites that I felt were extremely necessary; the book will not be able in August. I am truly sorry of the delay and hope to have a new update for you soon. 6.25.12 ~ Sample chapters are available on the DUO page. 6.1.12 ~ DUO cover is revealed!!! 4.8.12 ~ I've had several inquiries regarding the sequel to SOLO. Watch for the release of DUO late this summer. 4.7.12 ~ FOR A LIMITED TIME ~ SOLO e-book is FREE on Amazon.com. 2.29.12 ~ Goodreads giveaway has ENDED! Congrats to the three winners!!! 1.24.12 ~ Solo receives it's first 5-star review on Goodreads. 1.15.12 ~ I will be stopping by author, Felicia Roger's Blog for an interview on January 15th. Come by to enter to win ONE of THREE copies of my new ebook, Solo. The GIVEAWAY runs from Jan. 15th-21st. 1.6.12 ~ Solo receives 5-STAR REVIEWS on Amazon.com. 12.18.11 ~ Solo is now available on Amazon Kindle and Smashwords. Paperback is coming soon. I have a few new projects in the works and I hope to have the follow-up novel to SOLO out in 2012. 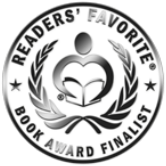 Solo was named the 2015 Readers' Favorite Book Contest Finalist for Young Adult-Romance. Sarah is a member of the Central Oregon Writers Guild. For more information on the COWG click on the logo.